Paper or plastic? How about neither. 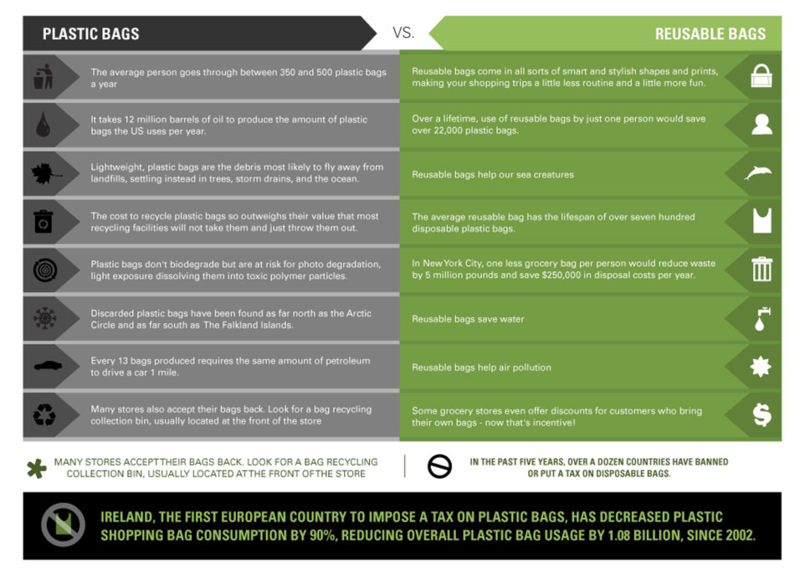 Not only do plastic bags require a bagful of resources, but they are also are not biodegradable. Plus, they are boring! Spice up your next trip to the grocery store with a eco-friendly, cloth bag. Need another reason? Check out this gigantic list below. Already have a good supply of plastic bags? Why not make your own reusable bag? Take a look at these bags, woven from plastic bags.